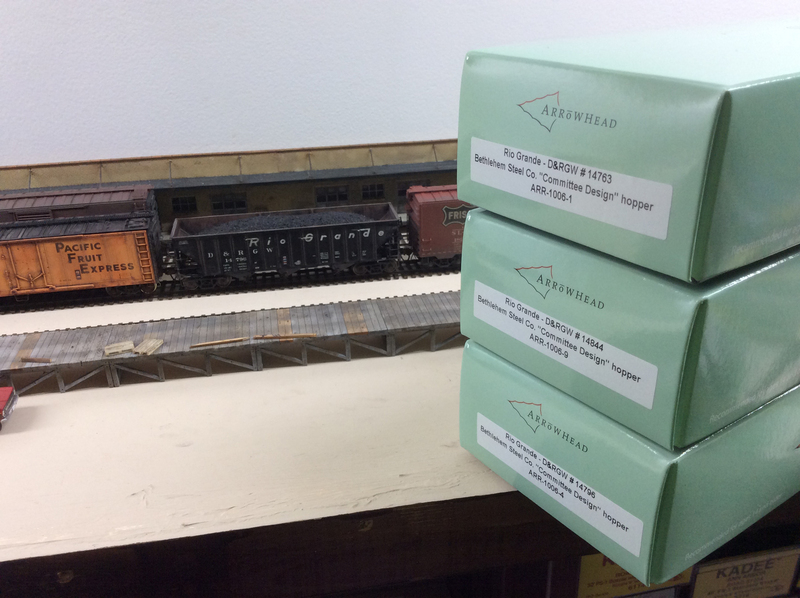 Though the “new” date on the new DRGW hopper by Arrowhead Models is 1966, the Committee Design hopper can earn its keep into the 1990s. 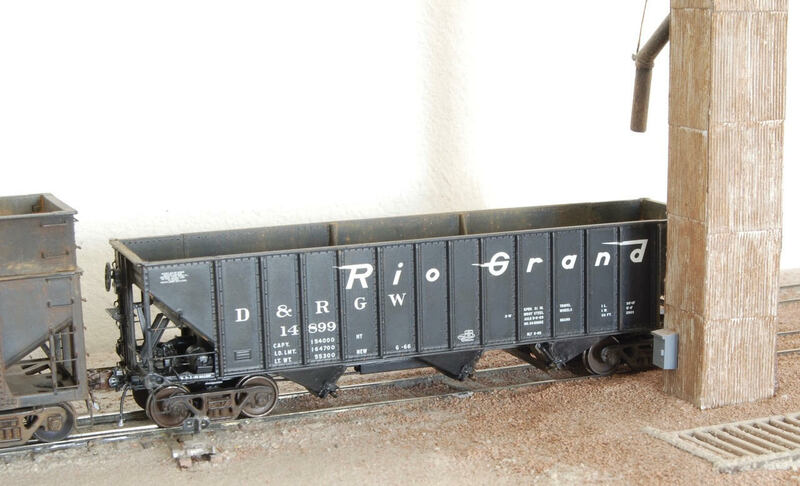 B. Smith has revised and weathered one side of his Arrowhead hoppers to depict DRGW cars in service in 1990. 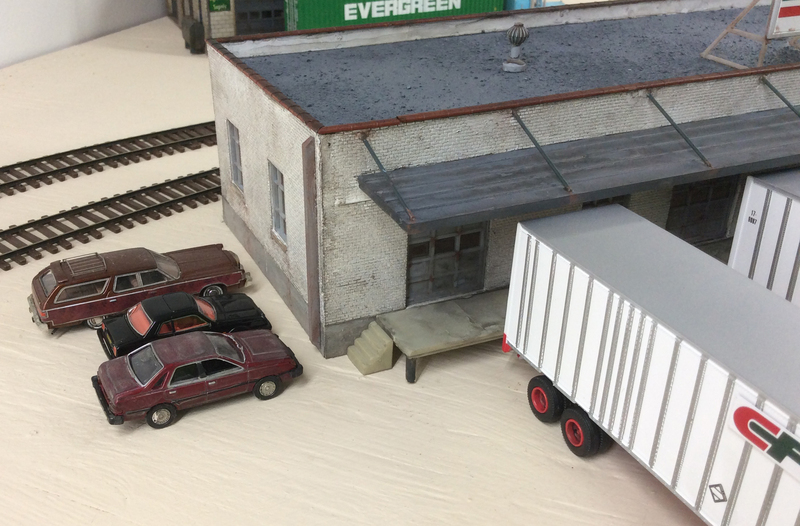 These cars are extremely realistic and look really great close up as well. Here’s the other side of the cars weathered for the late 1960s or so. 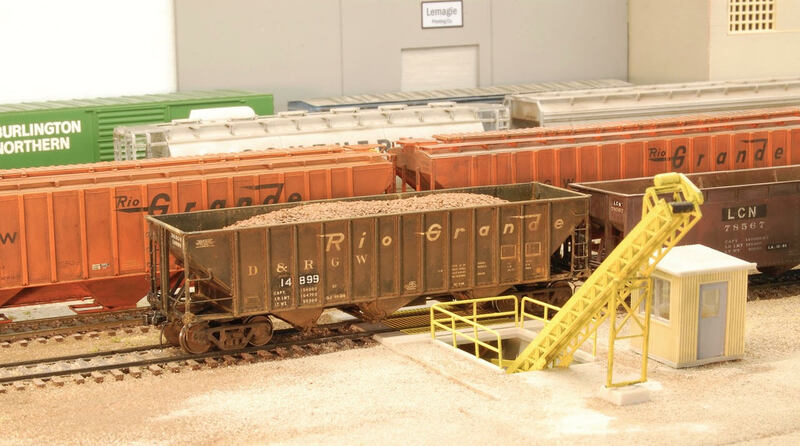 When Sanderson Scoria gets a bulk offline order the LCN provides some non-LCN cars as the LCN scoria cars are not for interchange. Arrowhead Models has really led off with a winner! 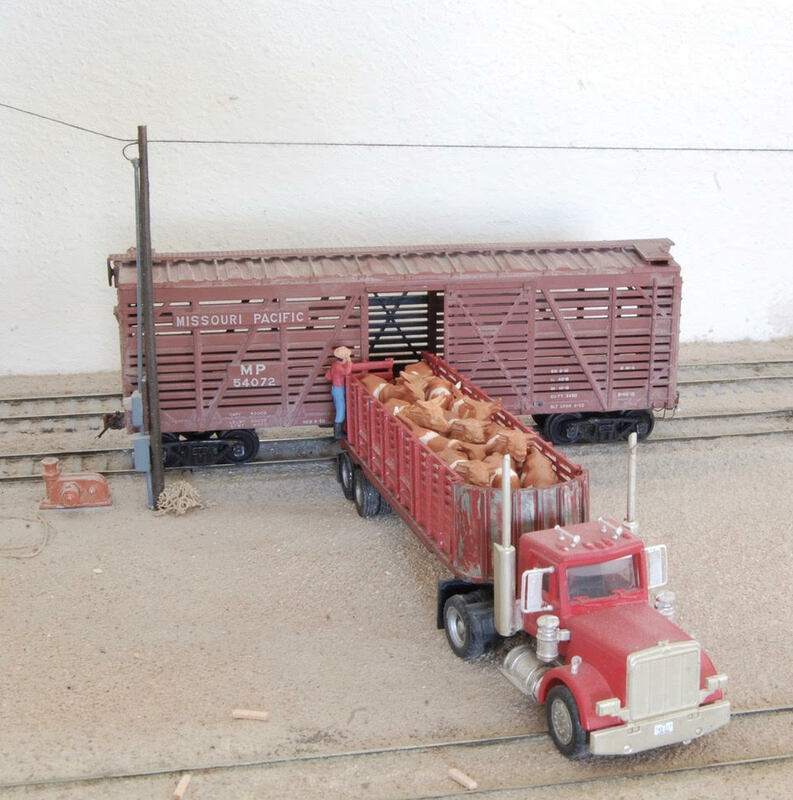 In the mid to late 1960’s the LCN was still moving some livestock by rail. In the Spring the Lazy W Ranch would move sheep from their low ranch to the upper ranch for the summer, then back to the low ranch in the Autumn for the winter. Since the LCN’s track ran by both ranches the sheep were moved by rail. The LCN would also spot cars of cattle from west Texas for the Lazy W feedlot. Sheep being loaded in the Spring for relocation to the high country as the Sanderson local gets the days train together. Not an easy task but they seem to be cooperating today. Maybe they know green grass awaits. Trying to get the sheep up a ramp and into a stock car didn’t work. 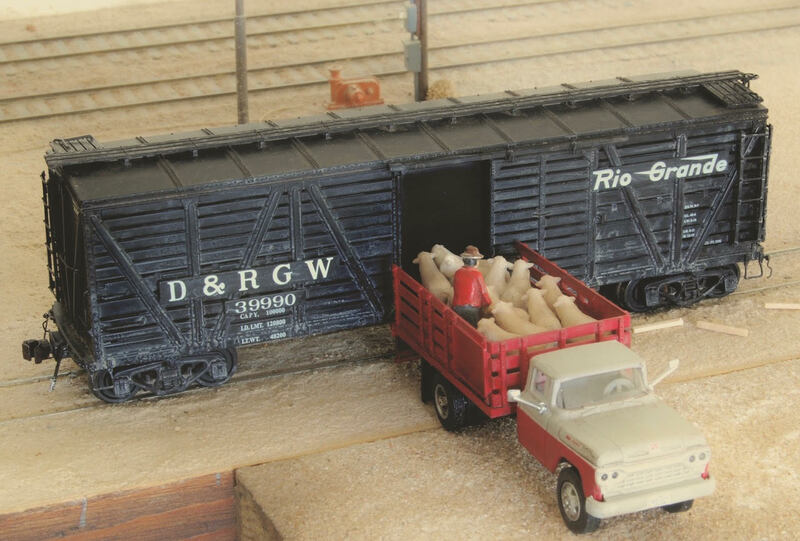 So the local sheepman got the LCN to spot a cattle car and he loaded them from his truck. Worked much better! Sheep normally are loaded into double deck stock cars but the absence of a loading ramp required just a single deck car. Two cars of sheep bound for the high country. Cattle bound for the feedlot. Another view of the MP stock car. 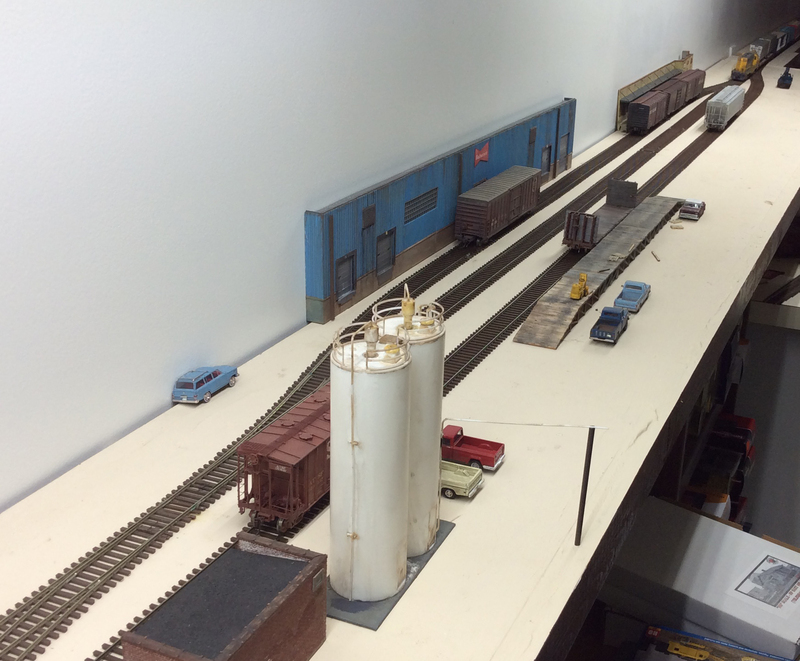 The stock car is an Athearn Blue Box that I’ve had since the early 60’s! 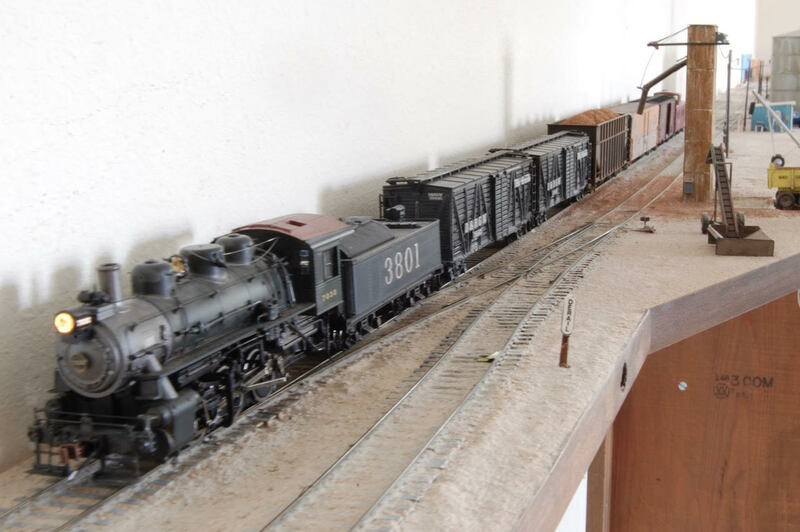 I never ran it as I never had any cattle loading/unloading operations on any of my previous layouts. I added better couplers, air hoses, pin lifters and stirrups. I also cut off the Athearn door hinges . 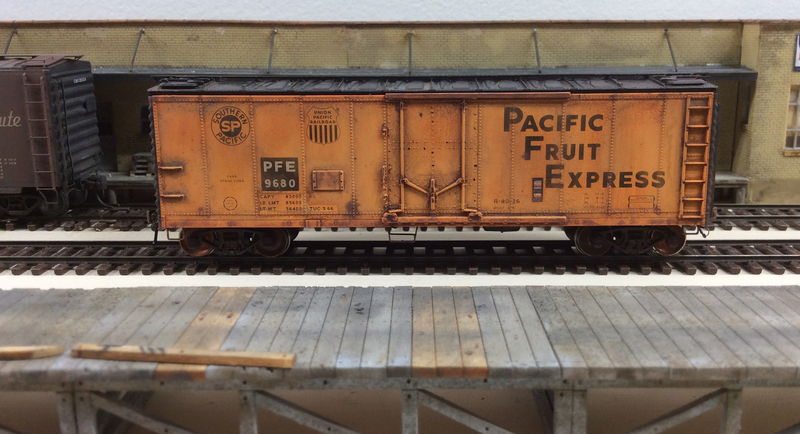 The cu ft stenciled on the side and it being built by UPRR are incorrect, but surprisingly, the car number is correct for the MP. 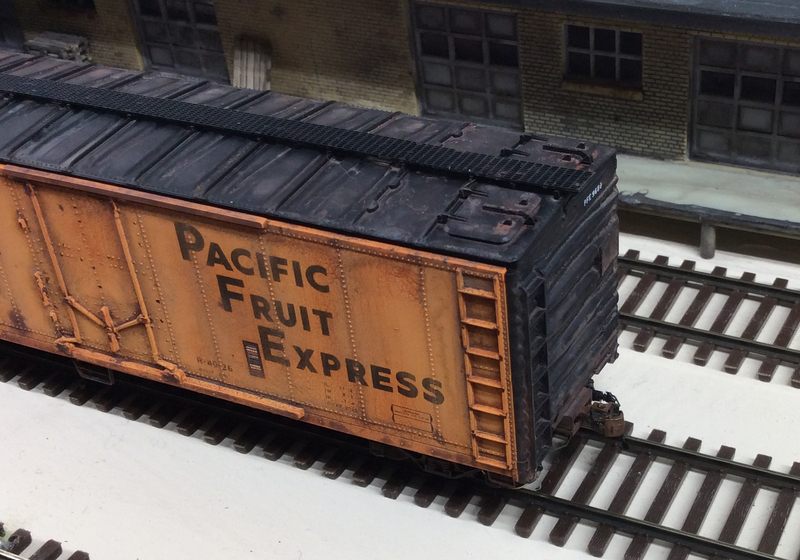 MP had almost 300 cars pretty much just like this Athearn car in October of 1969. This car number was from 100 originally built for the International-Great Northern Railway, a Texas railroad that became part of the MP. By 1976 MP no longer had any stock cars listed, so this scene is 60’s/early 70’s. Per Arrowhead Models’ website, there are 141 separate parts to this outstanding model. It shows. It truly is ready to roll. Scale wheels and, since I want this car to represent a late-1960s to mid-1970s, ACI tags are the only things I could think to add. If you were modeling a later era, a COTS would be in order. It is a masterpiece. I pretty much love everything about this car. 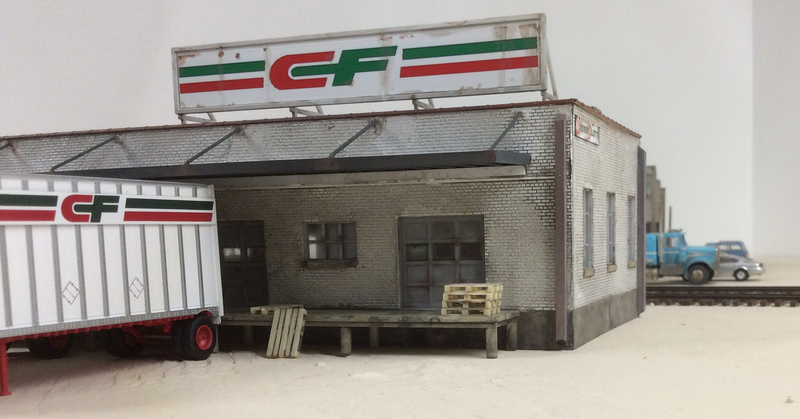 The model looks like a prototype that was magically shrunk to 1/87 scale! There are really no angles where the model does not hold up to fine scrutiny. The ends and gates level of detail is extraordinary. I like how they are compact and look really great on the layout. Having a long string would not take up a huge stretch of track. Arrowhead Models really filled an important void with this offering. There are only two very minor things I’d change. One, I’d make the fine coal load just a bit easier to remove. Two, I’d suggest the interior could be just a hair more detailed. However, those are quibbles and the fact the load is snug makes it look very realistic. And, as you can tell if you click on the photos, there is actually a good level of detail on interior. Note the rivets. Congratulations to Arrowhead for such a fine initial offering! If this suggests what is to come, Arrowhead is positioning itself to be a true leader in the industry. 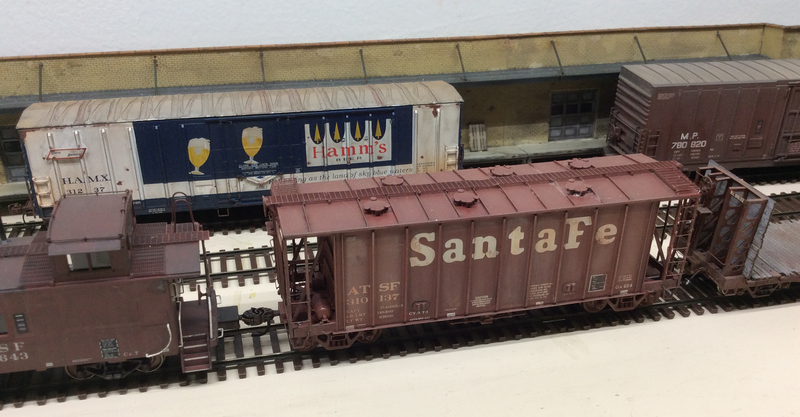 There are few offerings of highly detailed smaller, steel HO refrigerator cars though, if one looks at 1960s and early to mid 1970s images of freight operations, ’40 foot steel refrigerator cars were still fairly common. The PFE had many variations. 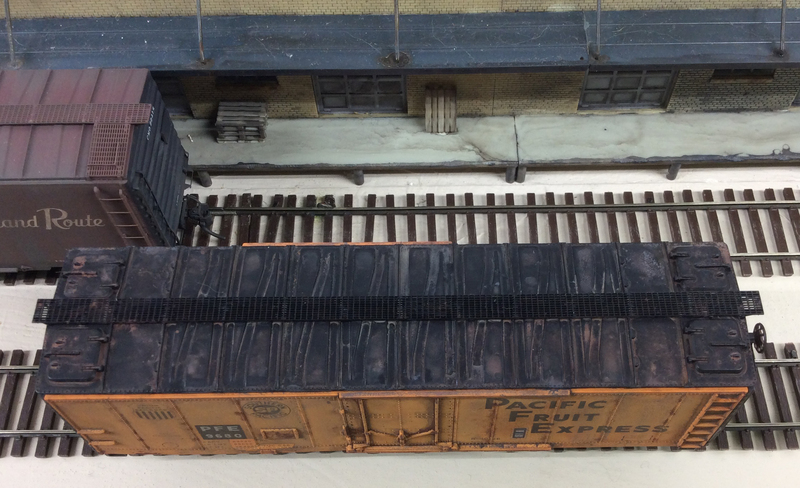 Accurail offers a reasonably detailed version that with a few updates looks pretty good. 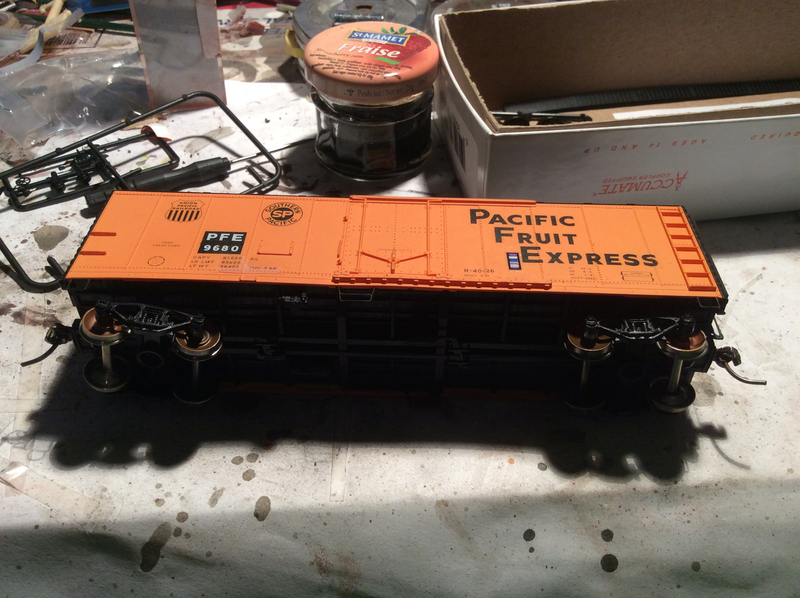 The kit is pretty detailed but I did replace the running boards and couplers (Kadee) and installed brakes hoses (Kadee), pin lifters (Tangent) and scale wheels (Exactrail). 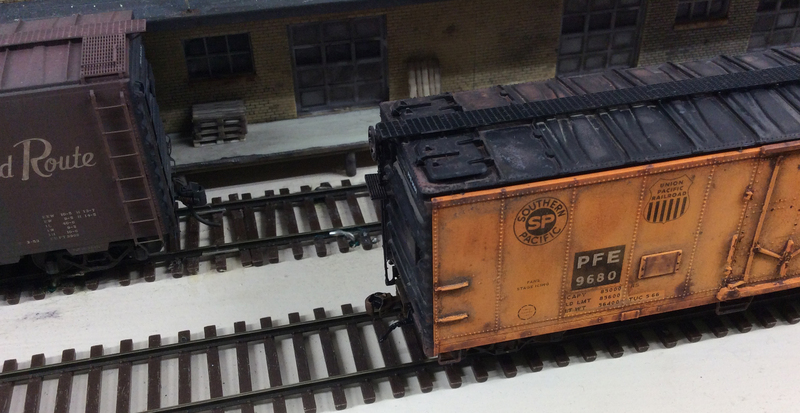 The molded on details are not ideal, but with proper weathering look OK. I added an ACI tag as well (Microscale decals). The Kadee running board helps a lot. Note: Accurail thoughtfully made it easy to install the step up to the door at three different locations. This series of cars put it to the left of the door. Other PFE orders (with three rod doors) put it to the right. By the time the 1990s rolled around, only a few large trucking firms were thriving. Consolidated Freightways managed to continue having success and hung on until 2002. I’ve always liked their logo and image. CF had its roots in Portland, OR, but grew to have a presence across the nation. The structure is nicely “forward dated” by switching out the PIE trailers and tractors for CF equipment. And parking the right kinds of cars around it. 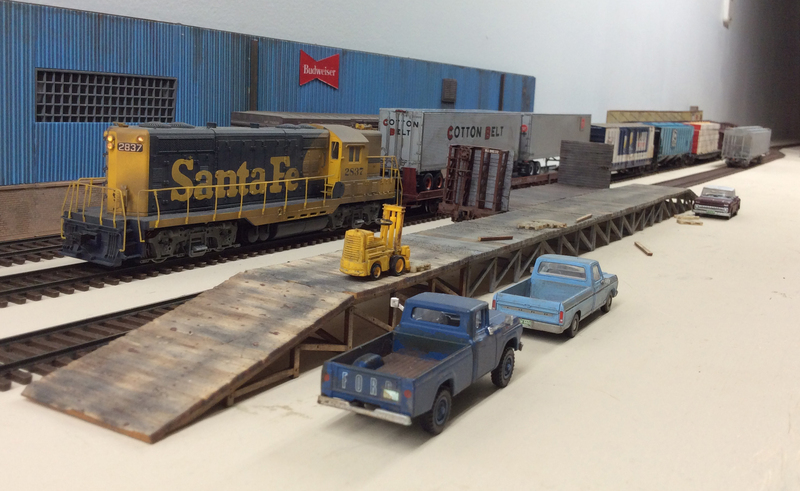 It doesn’t really generate freight traffic for the railroad, but it does add a nice industry to enhance the overall realism of the layout. Overall. I am please with the result. 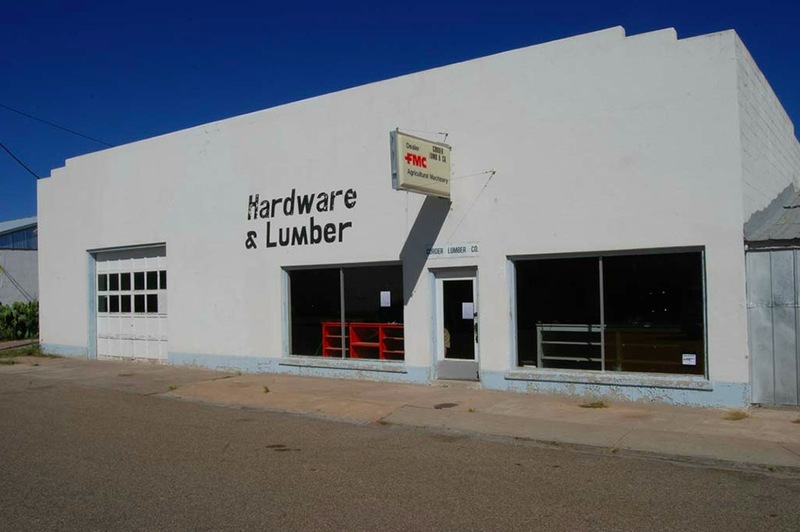 The price for the terminal was sure right since I had all the parts to the building on hand. 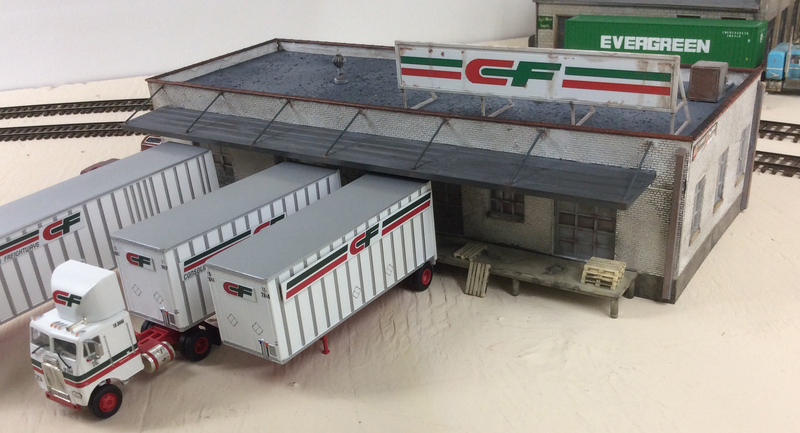 Trailers were getting bigger by 1990 as the 48′ trailer attests.